Need that final touch to finish off your rooster kitchen decor then this is the mat for you! This MatMates Bon Appetite Rooster kitchen mat has a number of features that makes it ideal for use in kitchens, high traffic areas, bathrooms or even on your front porch. Sporting a Green recycled rubber back it grips to just about any flooring surface and is fade and stain resistant. 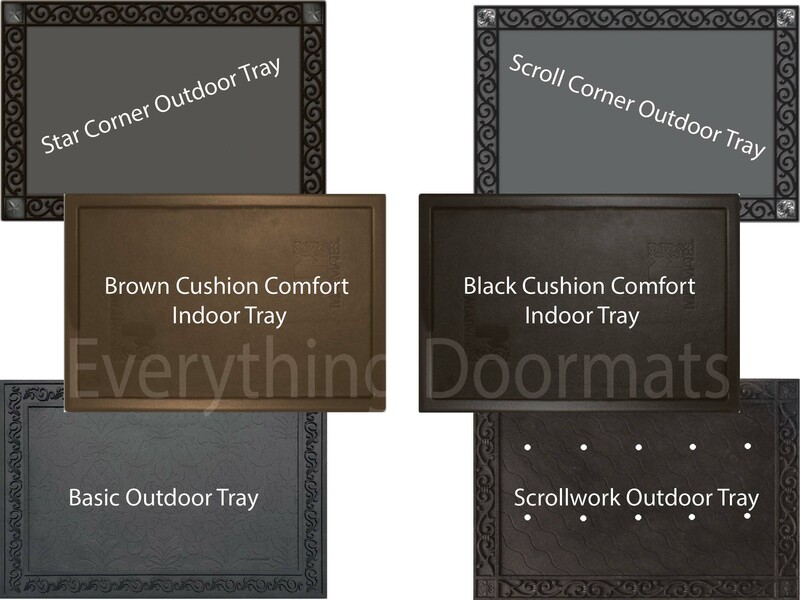 In addition the mat can be paired with one of our cushion comfort indoor trays for a great anti-fatigue standing surface, or with one of our outdoor trays for a more upscale look. When used by itself the Bon Appetite Rooster Kitchen Mat is 18" x 30". Note: The Bon Appetite Rooster Kitchen Mat is pictured in our Brown Cushion Comfort Tray. The outdoor trays and Cushion Comfort Trays are sold separately.